“THE HISTORY of the music industry is inevitably also the story of the development of technology. From the player piano to the vinyl disc, from reel-to-reel tape to the cassette, from the CD to the digital download, these formats and devices changed not only the way music was consumed, but the very way artists created it.” Edgar Bronfman, Jr. 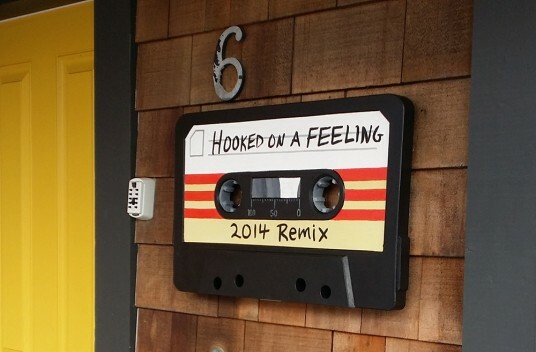 Most people will recognize this song/cassette tape from the movie ‘Guardians of the Galaxy’, although the song ‘Hooked on a Feeling’ was originally performed in 1968 by B.J. Thomas and featuring the sound of the electric sitar. It has been recorded and revived by many other artists since, especially throughout the 70’s. The popular 2014 film brought the song back to the charts, reaching the top of the Billboard 200 in August 2014. The compact cassette, or cassette tape, was one of the most common formats for pre-recorded music between the early 1970’s and the late 1990’s, as everyone from that generation will know. At first, it overlapped with the LP vinyl record and later shared space with the newly invented compact disc (CD). Originally designed for dictation machines, as improvements in sound were made it eventually became popular for music, supplanting the larger 8-track cartridges and reel-to-reel tapes. It was re-recordable and compact. During the 1980’s, portable pocket recorders and high-fidelity players (‘hi-fi’s) such as the Sony Walkman made the cassette even better for listening. The Walkman defined the portable music market in the 2000’s, the same way that the transistor radio did in the 1950’s and the MP3 player did in the 2000’s. 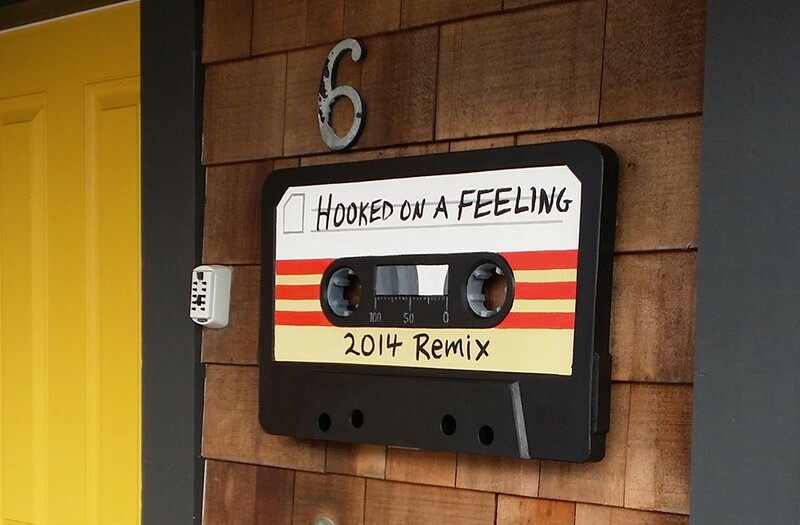 Here, the iconic cassette tape is immortalized in this quirky beach house sign in Pacific Beach, Washington. Hand painted and dimensional, it was custom made for a movie fan’s rental cottage. Sign is installed... looks GREAT... (and very large)... People won't miss our house for sure! Thanks again for the great work!